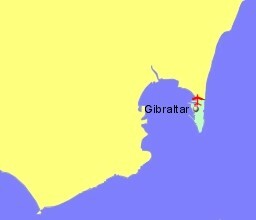 Gibraltar is not a separate country but a UK Overseas Teritory dating back to the 1700's, a peninsula of just under 7 sq Km, attached to southern Spain, and extending into the Mediterranean. It is included here as a holiday destination in it's own right, where you can be on the Mediterranean but with familiar surroundings and customs. Gibraltar offers duty free shopping and some of the larger UK department stores will be found here. It is however also an alternative access point to the southernmost tip of Spain, the Costa del Sol and the Costa de la Luz. Gibraltar is possibly best known for the rock on which it is built, and the apes that live there. The official language is English and the currency is the GB Pound.